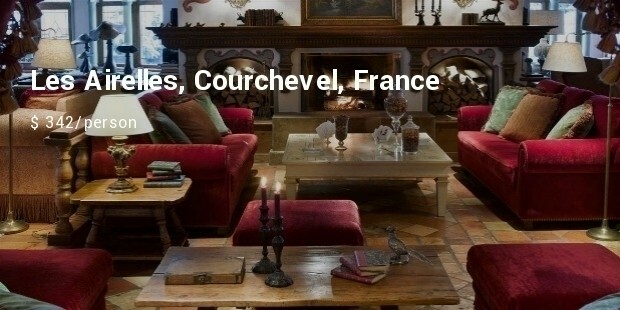 To many people Europe is the ultimate travel experience. Europe has a series of overlapping cultures. 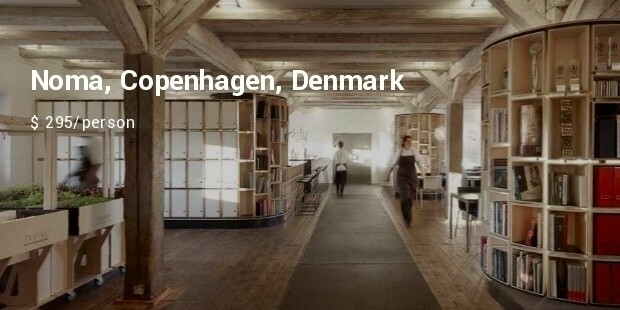 This cultural mixes exists across the continent. Many of the famous European landmarks, cities and areas were part of huge historical events. In Europe each country hold its identity and tradition and because of this diverse culture experiencing food in Europe is a must. 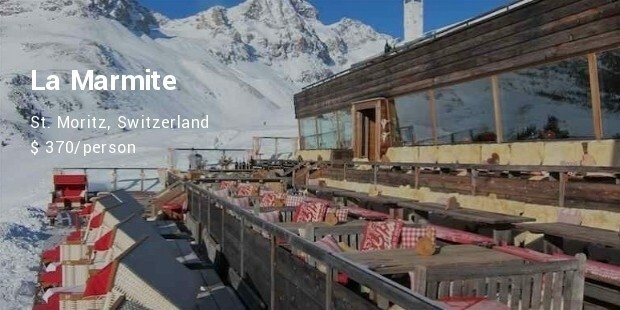 This restaurant is situated in the Swiss Alps. 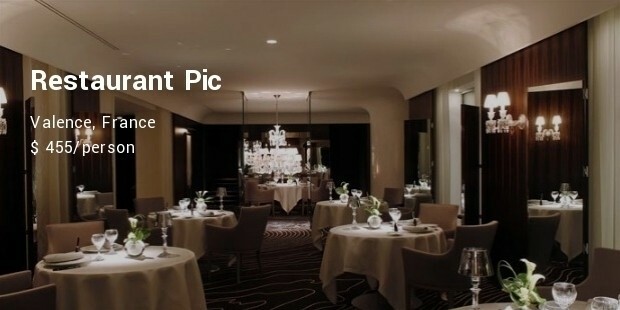 Even if you are staying at the grandest resort in all of St. Moritz, those eating at La Marmite will tower over you by more than 8,000 feet. The La Marmite is so fancy that everything on the menu is essentially made with lobster, even the sandwiches. The signature dish at this restaurant is the Carrousel. Monte Carlo is one of the top gambling cities in the world, second only to Las Vegas, but Monte Carlo has much classier casinos and restaurants than those in Sin City. 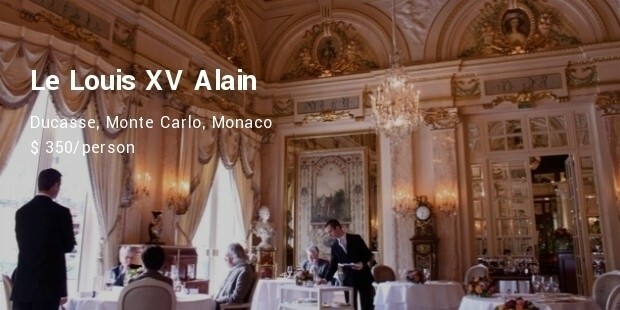 The Le Louis XV restaurant was established by Alain Ducasse, and he achieved the Michelin three-star rating. The service offered here is second to none, and you don’t have to stuff yourself with course after course. Instead, many people just order the most popular dish on the menu, the steamed blue lobster. 9. 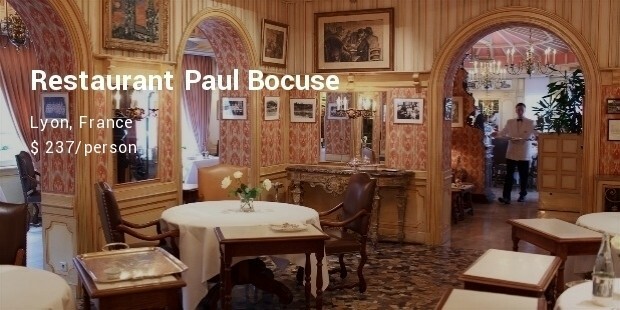 Restaurant Paul Bocuse, Lyon, France - $ 237/person. 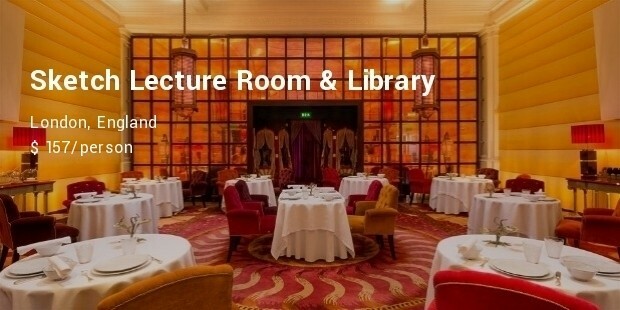 Europe has the best restaurants in the world and thus some of the most expensive ones. 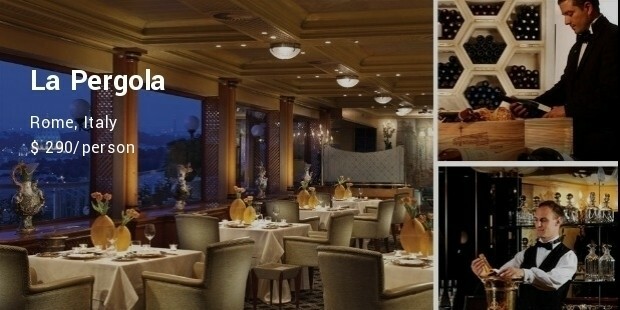 Thus experiencing delicacies from these diverse cultured country is truly worthy. 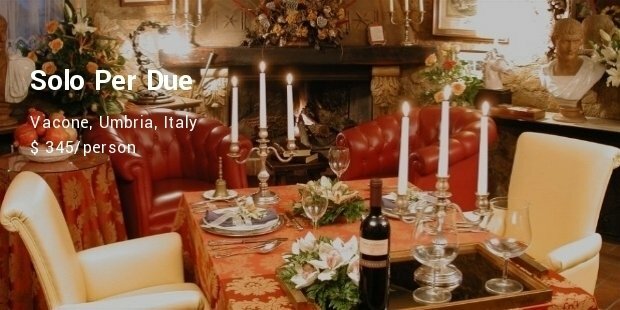 Dining in Europe is taken very seriously. 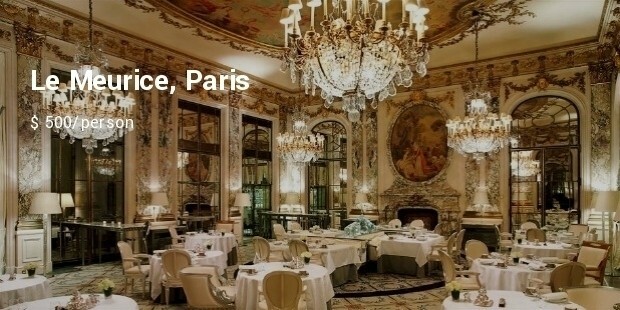 You will find some of the best restaurants in the world there, and thus some of the most expensive ones.